How many hacks will it take before organizations start improving the security of their Twitter profiles? Compromised accounts are a problem that feels like an almost weekly occurrence. Just this morning, hackers took control of accounts belonging to ABC News and Good Morning America, posting a stream of obscenities and fake news to a combined 13 million+ followers. 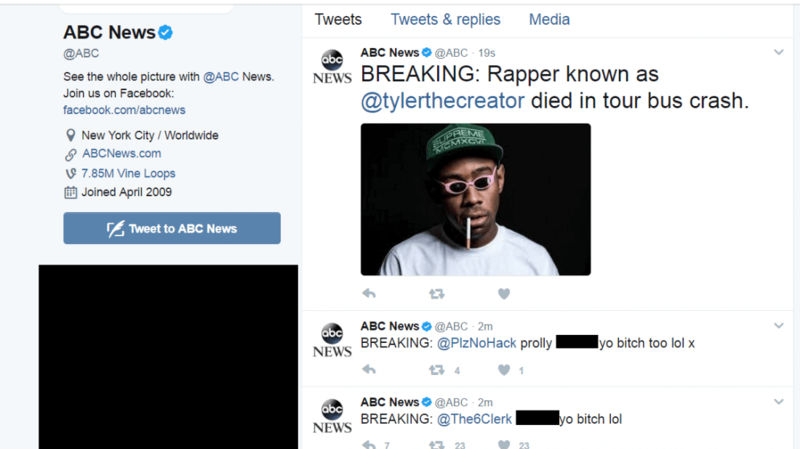 At about 6 am today, ABC News’ Twitter account started posting Tweets containing the kind of language that suggested it had either been hacked, or someone on the team was having a really bad day. Several of the messages linked to another account, @the6clerk, which has since been suspended by Twitter. In a now-deleted tweet, the ABC PR site acknowledged something was amiss and that they were working to resolve the problem. All the hackers’ posts have now been removed from the accounts. How they gained control in the first place is still unknown. Last week, hundreds of high-profile Twitter accounts were taken over by Turkish hackers who posted messages supporting President Erdogan. They had gained access using third-party analytics firm Twitter Counter, which can send new tweets from the accounts of people who sign up to the service.